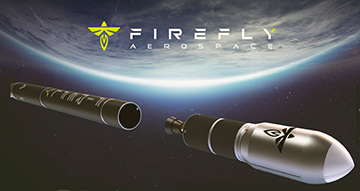 Firefly Aerospace, Inc. (Firefly) has engaged in a Memorandum of Understanding (MOU) with Airbus Defence and Space (Airbus) to develop new space launch solutions for Airbus customers. Firefly CEO Dr. Tom Markusic said the company is pleased to enter into an MOU with Airbus to formulate an integrated market offering that will provide Airbus customers rapid deployment of Airbus manufactured satellites and the firm is impressed by the versatility and low cost of the Airbus ARROW platform and Airbus’s investment in leading edge satellite mass production capabilities. This initial MOU covering several launches is the first step of a long-term relationship which will provide Airbus customers the highest level of flexibility for their small satellite launches. Frederic Sotenberg, Head of constellations Launch Solutions at Airbus Space Systems, added that this partnership with Firefly will provide launch options with direct access to specific orbits, flexibility and short notice. The Alpha vehicle addresses an unmet need in small satellite launch and will provide a further option for customers in addition to legacy medium and large launchers in Europe. 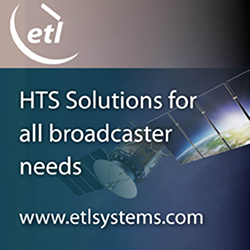 Les Kovacs, Firefly VP of Business Development, noted that this flexibility will enable rapid deployment of and replenishment of Airbus customer constellations and the developed integrated solutions will accelerate the global small satellite revolution and the commercialization of cislunar space.